Without doubt Ford EcoSport is in a dominant position in the Sub-4 metre Compact SUV segment in India. Some of the killer features of EcoSport being its modern looks and design, wide variety of engine choice, driving dynamics and a very attractive pricing. The 2017 Ford EcoSport has been spotted by autossegredos automotive portal. The website has posted few spy pictures of 2017 edition of Ford EcoSport. There is a new facelift of EcoSport in the market which is attracting potential competition from newly launched SUVs like Vitara Brezza from Maruti Suzuki which could impact its sales performance. The brand new 2017 Ford EcoSport might be introduced by the end of this year by making its world premiere in last quarter. EcoSport got a minor facelift in India during the month of October 2015 in India. 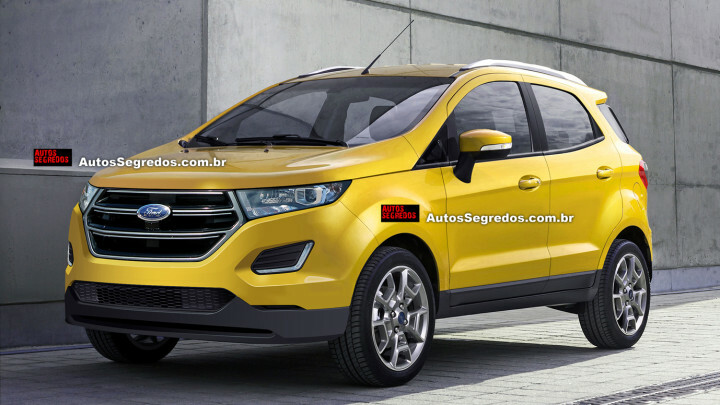 Expect 2017 Ford Ecosport to be a fresh new car! 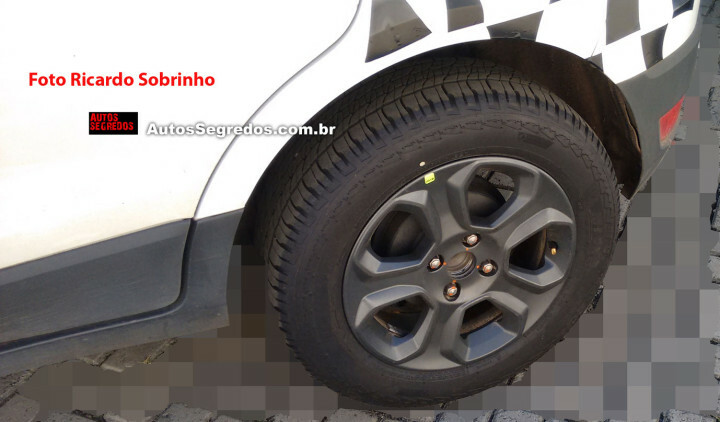 Looking at the spy images, the looks of 2017 Ford EcoSport is pretty comprehensive in nature. The 2017 Ford EcoSport exterior is well restyled and there is a significant enhancement made to interior of the car there by increasing its aesthetic appeal. 2017 Ford EcoSport’s interior will no longer be made of bi-color tone, instead it will be getting a black finish. 2017 EcoSport gets an updated dashboard which comes with brand new instrument cluster. Speedometer console would be getting new Multi-Information Display as well as new fonts. The upholstery of new 2017 Ford EcoSport is also expected to be new. Currently in India, Ford EcoSport is sold in 3 engine variants. The highlight among these 3 engines is the very potent 1.0 litre EcoBoost turbo Petrol engine. 2017 Ford EcoSport might feature a modern engine in the form of a new 1.5 litre 3-cylinder engine for the global market. Currently, the most popular engine option from Ford EcoSport is the 1.5-litre Turbo Diesel engine which got a facelift last year which has capability to produce 100 PS of power and 215 Nm of torque. 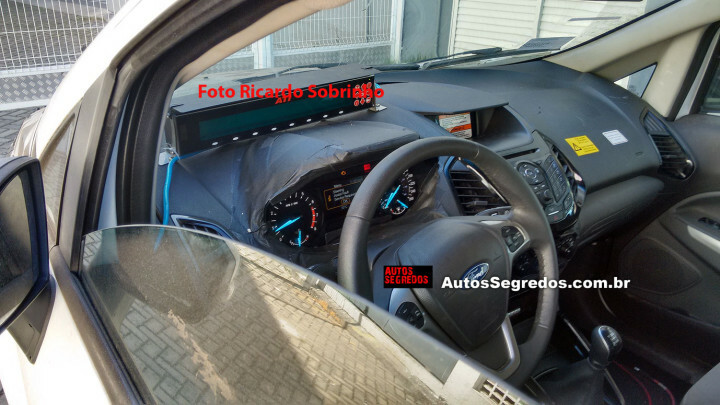 What do you think of these spy photos of 2017 EcoSport from Ford? Do let us know by commenting below!